The strategy covers many issues on which the Royal College of Psychiatrists (RCPsych) has been focusing for some time, such as perinatal mental health, liaison psychiatry, crisis care and services for children and adolescents. One area where we have yet to see improvement is the health and wellbeing of the workforce. As a Royal Medical College, we strongly advocated that the NHS as an employer should to pay greater regard to this, not just as an end in itself, but because it is associated with better quality of care. Put simply, staff who are over-stretched, under-rewarded (not just financially) and feel vulnerable to being scapegoated for wider service failings, do not deliver good care. Much has been said about how providing specialist care to people experiencing mental distress is difficult, demanding work and requires dedicated, caring individuals. But we are missing a coherent narrative about why this is the case, let alone what to do about it. Without such a narrative, many interventions may be at best ineffective and at worst harmful. Fruit in the canteen, better cycling lanes (and I speak as a keen cyclist) and practicing mindfulness are all fine, but they are unlikely to address the dissatisfaction and demoralisation seen across the workforce. For obvious reasons, attention has focused on junior doctors recently, but I doubt discontent is limited to one group within one profession. Few would not argue that NHS organisations must demonstrate good practice in the management of mental health in the workplace from now on. But this crisis will not be solved by simply putting more resources into individual interventions, but by taking a truly system-wide approach to a system-wide problem. People say “it’s not about the money”, but more money would certainly help. In February, NHS England committed to helping more than a million extra people and to investing more than £1bn in mental health services by 2020-21. This was in addition to the previously announced £1.25bn new funding for children, young people and perinatal mental health care, and £150m for eating disorders. All well and good, but as Tom Cruise once said, “show me the money”. When I asked a packed meeting of the mental health section of the Healthcare Finance Management Association (HFMA) if they had seen the promised monies for children’s mental health, only one person raised their hand. So we place greater importance on the commitment to hold commissioners to account for increasing funding to mental health – at least in line with the growth in their general allocation. Research by NHS Providers and the HFMA found that only 55% of the mental health trusts surveyed had received a real-terms budget increase for 2015-16. The new £2.1bn Sustainability and Transformation Fund will be available to providers for 2016-17. But guess what? Again, there are concerns that mental health providers are missing out. The ‘sustainability’ bit of the Fund – worth £1.8bn – has been ring-fenced to help bring the provider trust sector back to financial balance. The ‘transformation’ part – worth just £300 million – is intended to support the development of new models of care, along with the implementation of policies such as the “seven-day NHS” and improvements in cancer, mental health and prevention. RCPsych is particularly interested in seeing the evolution of new care models in mental health over the next few years. As the Fund rises to £3.4 billion in 2020-21, we hope resources will be shifted from deficit reduction towards transformation in order to ensure mental health gets the priority it deserves. 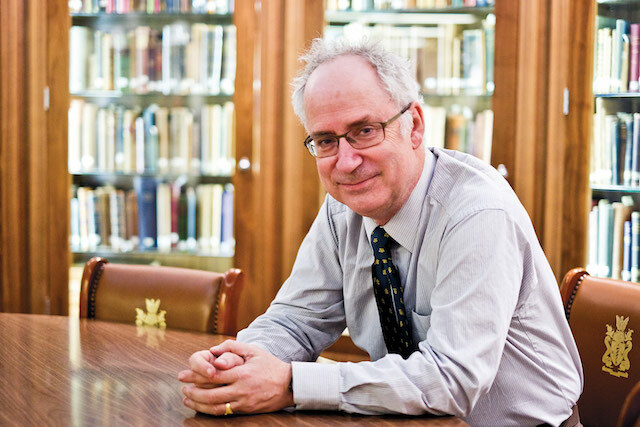 Sir Simon Wessely is President of the Royal College of Psychiatrists (RCPsych).